Looking behind the camera with the man who took the award-winning photograph at an an anti-fracking protest. Ossie Michelin has been taking photographs for as long as he can remember. 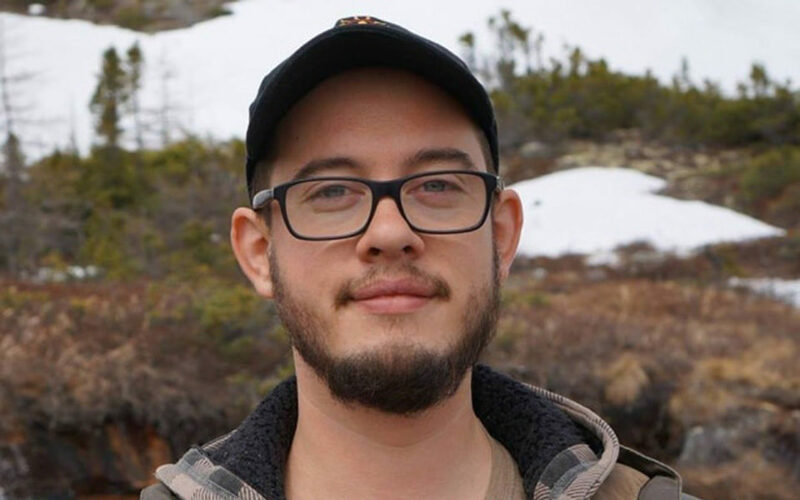 The 24-year-old Indigenous freelance journalist spends his time turning his culture into art by way of writing, and photography, and this past summer, he was awarded for one of his pieces. His work was featured in the national exhibit at the Canadian Museum for Human Rights in Winnipeg. 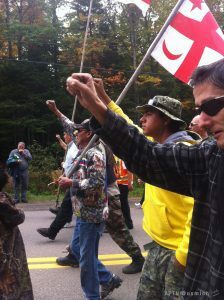 The photo ‘Mi’kmaq Woman,’ shot in 2013 at an anti-fracking protest, shows a woman kneeling before a line of police officers, holding an eagle feather high in the air—it won the best human rights photo award. Michelin’s photographs have been featured in print and online, and have also been turned into paintings by strangers. Today, Michelin is readily equipped with his laptop and camera, waiting for the next shot and story. RRJ: How did journalism become a part of your life? Michelin: I’ve always loved to write. 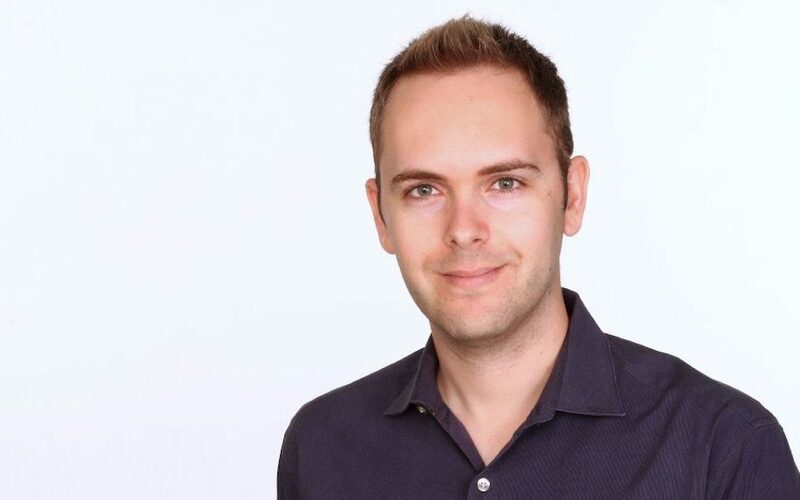 I wanted to look into a field that was more hands on, so I studied journalism at Concordia University in Montreal. From there I fell in love with gadgets — photography and podcast. I’ve learned a lot through my internships. I worked in Montreal and did a little bit of everything. I still do quite a bit of writing, but I love the visual side of journalism. Can you tell me about some of the projects you’re working on now? Right now I’m doing something for Newfoundland Quarterly, I’m an editor for the Indigenous Peoples Atlas of Canada, I’m working on a video project in Labrador and I just finished a contract with Canadian Geographic—I also work closely with CBC Indigenous. You were awarded for best image in the National Museum for Human Rights. How did that photo gain so much recognition? That photo was actually one that I took on my phone, and I tweeted it out. It was shared hundreds of thousands of times. I took the picture and I was too concerned with the violent situation that was in front of me, there was tear gas, police dogs, people shouting … I wasn’t spending a lot of time checking my phone. I found out the next day that my Twitter handle was trending in Ottawa. That picture was one of many that I took that day, and it just took off. How did you find out that you had won this award? What did that feel like, considering this photo was so quickly taken? I knew I got [the award] a good month or so before everything was announced, so I actually had to keep quiet about it. It was nice. The more people that know what’s happening out there, the better. I’m so glad this photo is being recognized … this woman is fighting for her rights, I hope that the government realizes this … they’re on the wrong side of history. 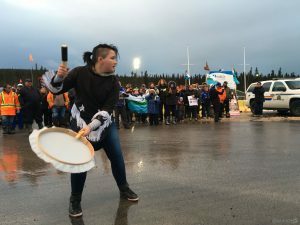 You’ve gained recognition in the past for other photos you’ve taken—just searching your name online, a photo of an Inuk girl drumming during a Muskrat Falls protest comes up. Was this photo shot intentionally, or was it a similar situation like ‘Mi’kmaq Woman?’? That one was shot a bit more on purpose. A giant dam is being built upstream where people hunt, fish and gather, and people were concerned about the dam releasing toxins, preventing us from hunting and fishing, which is a big part of our culture. So last year a number of people blocked the dam site, and I just got in there and did my own thing. I took some pictures for BuzzFeed and Vice, but mainly I wanted to be there to get involved. This girl took our her drum and stopped all of the workers, and I got a shot of that. I really want to keep freelancing … I’m comfortable and I can choose my own pace. I’m not ready to go back to a full-time newsroom. I’m making a documentary right now about Muskrat Falls, and I should be doing some film making in Labrador. It’s going to be more video projects with a bunch of writing on the side.